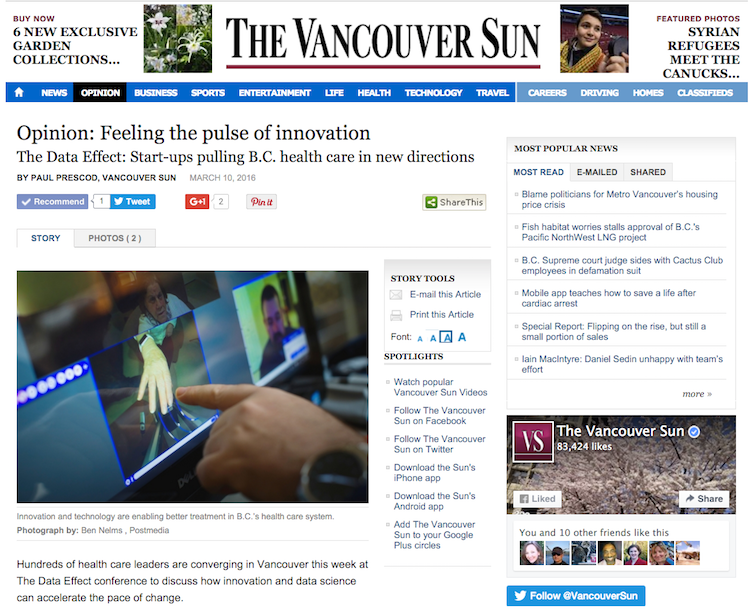 The following opinion on BC Healthcare Innovation written by Paul Prescod appeared in the Vancouver Sun. Excerpt: B.C.’s mobile health (mHealth) innovators are diverse and lean, like race-hardened Huskies. Hungry and competitive, start-ups are being asked to the table because we know how to speed up technology development. Many of us use the Lean Startup methodology: prototype, validate with the customer, fail-fast or evolve. This focus on speed is largely absent from our health care systems. Evidence-based medicine requires years of proof before acceptance into the field, whereas mHealth start-ups advance their products on a daily basis. But are speed and evidence truly incompatible? Definitely not. Moving quickly — and intelligently — can help innovators and health care companies gather and process evidence much more quickly. Data, after all, is the foundation of all evidence, and mHealth companies can gather and process huge volumes of data in real-time. Using an iterative, data-driven approach, Ayogo has pioneered an evidence-based Playful Design approach to create vibrant, encouraging and enjoyable experiences that are custom fit to the end user. The evidence shows that health care consumers who have access to delightful, rewarding tools have better outcomes. They are more engaged, knowledgeable and more confident as they reset priorities, take their medication, exercise and eat right. Through habit-changing designs, Ayogo tackles behaviour, lifts patient knowledge and helps shift individuals toward goals of their choosing. We are known globally for a new approach where delight and utility are harnessed to improve health outcomes. Over five years, we’ve built a body of evidence that our approach is effective in helping people with a range of chronic illnesses, including obesity and diabetes. In 2014, Ayogo was recognized by the mHealth Journal as one of the 100 most innovative health companies in the world. Digital therapeutics is an emerging behavioural science. Put simply, behavioural supports and applications are the most potent tool we have for motivating people to act. Every day, we collect more data, which allows us to hone our process. The mobile revolution provides unprecedented opportunity to harness our desires to outcomes using technology: people who want to change can get support from their beloved phones 24/7. Mobile health has a big payoff for everyone: tangible health improvements for the end users, market opportunity for the innovators, and patient-reported data that can be anonymized and analyzed, pointing to improvements to the health care system. With the technological advancements, come economic changes. Until recently, B.C. had relatively little venture capital. But the B.C. 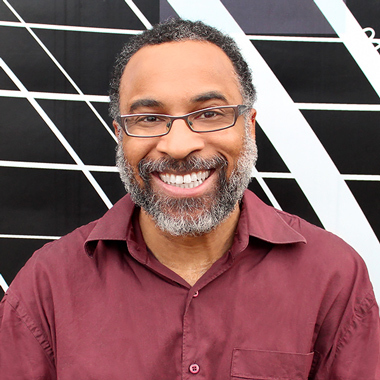 government’s recent announcement of a $100-million tech innovation fund is welcome news. It, combined with more Canadian public-private partnerships, will see innovative companies like Ayogo doing more work closer to home.